“Exploration, discovery, wonder: it’s what fuels of both art and science. When artists create science-informed artworks they construct metaphors, translating intangible scientific findings into sensual experiences. 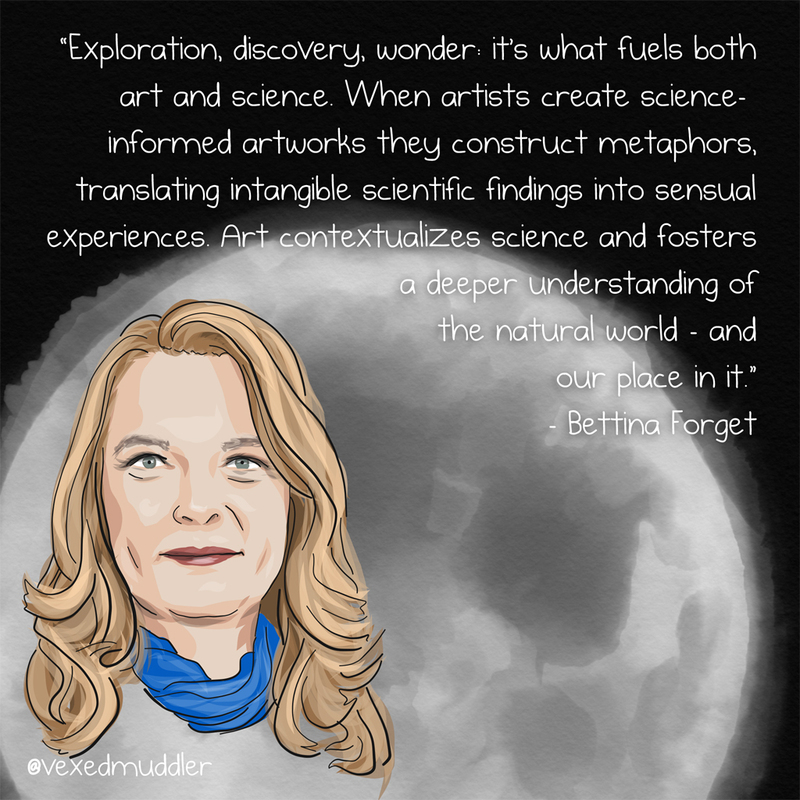 Art contextualizes science and fosters a deeper understanding of the natural world – and our place in it.” – Bettina Forget, artist and art/science researcher for the SETI Institute’s Artist-in-Residence program. Originally posted on September 25, 2016.